Different people react in different ways to grief, whether their own or others'. However, in times of tears, the need to do or say something can become compelling. And yet, what can we do or say best that will help someone in deep grief? 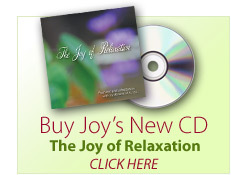 Joy Abrams knows the exact answers, which she reveals and teaches in What to Do? What to Say? There Has to Be Another Way. Knowing the magnitude of being able to do or say the most appropriate thing at such a delicate situation, Abrams offers guidelines and presents new options of what can be said or done in such difficult and potentially awkward times. In her book, Abrams considers many factors that can influence the situation to go well: temperaments of the person grieving and the one trying to express sympathy, personalities, and feelings about the situation. As well, What to Do? What to Say? There Has to Be Another Way will help you assess why the things you might have done in previous such situations may be inappropriate for the situation facing you now. 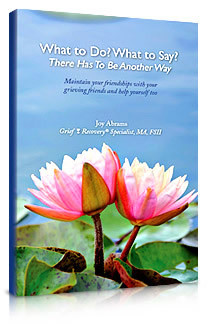 With new resources to help you handle grief with friends and yourself, Joy Abrams' What to Do? What to Say? There Has to Be Another Way is an excellent guide to help you nurture and maintain those significant relationships even in times of heartache. Click here to read the latest book review.